On 26th February 2001, a 4 CD single box set was released in Germany. It includes the three previously released regular singles: "Summer Moved On", "Minor Earth Major Sky" (limited 'video' version), "Velvet" plus a CD single of "The Sun Never Shone That Day" (catalogue number: 8573 87388-5). The cover of the box features a picture of the desert with a blue cloudy sky above and mountains in the distance. In the middle of the desert is a metallic looking extrusion. 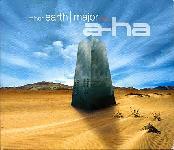 Above is the a-ha logo and "minor earth | major" in white plus "box" printed in red. The reverse of the box features a close up shot of the blue cloudy sky with the mountains disappearing off the bottom. 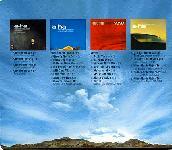 Printed along the top are pictures of the four singles included in the box with track listings below. The cover picture continues round the spine of the box where the title is printed in white and red as on the front of the box. 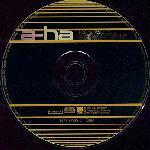 Note: The box-set features the "18:41 version" of the "Summer Moved On" single which has the extra text "additional production by a-ha and Kjetil Bjerkestrand" printed inside the sleeve (click here for details). It includes the limited edition "Minor Earth | Major Sky" single with the video of "Summer Moved On" as a bonus track. It also includes the "Velvet" single with the video for Velvet as a bonus track. The CD single of "The Sun Never Shone That Day" features the album version of the title track, album version of "Thought That It Was You", two remixes of "Minor Earth Major Sky": "Ian Pooleys Toothache Mix" and "Pumpin' Dolls Club Mix" plus the video of "Minor Earth Major Sky" in QuickTime4 format.